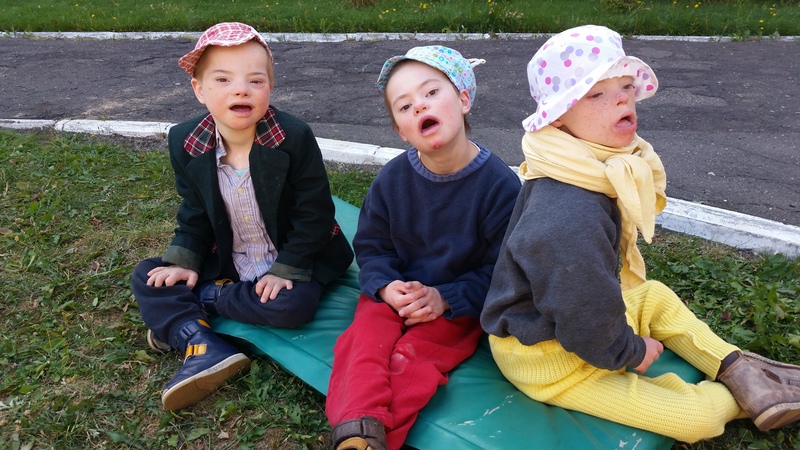 Gorodishche Orphanage is home to 220 children and young adults with physical and intellectual disabilities. Since the late 1990's BCP has been supporting the orphanage. Many programmes are still running there from building to volunteer trips, to nutrition and nappy funding. 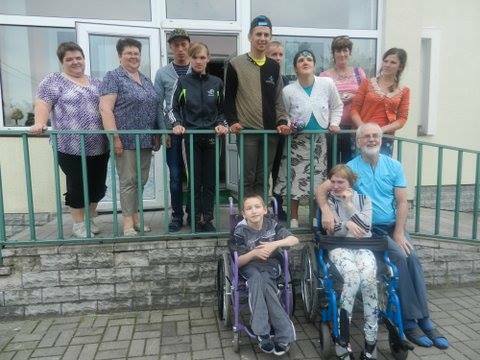 Cherven Orphanage is home to over 300 children and young people with physical and intellectual disabilities. 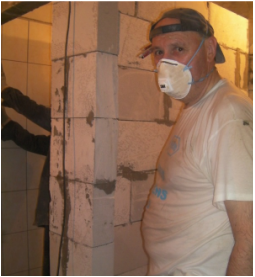 BCP has funded extensive building repairs and renovations to the orphanage since the 1990's. Our Medical Aid program has brought up the standard of care of the weakest children immensely. Volunteers continue to travel every year to spend time with the children. Our Project Medical Aid Programme provides medical support to our paediatric orphanages across Belarus. BCP works closely with our Belarusian counterparts and pays development workers to work in the understaffed orphanages. BCP are also running a community based aid programme which works closely with local families and children with disabilities in the Cherven region. The Building Programme's goal is to make the institutions "more human". Irish volunteer workers in conjunction with some local Belarusian craftsmen undertake the large task of renovating and building in Adult asylums. BCP volunteers have done everything from installing new toilet facilities to building independent living homes and apartments. 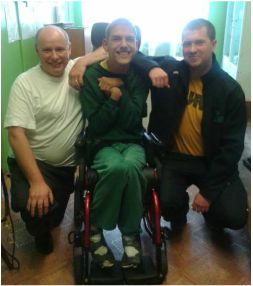 Many Adult Asylums across Belarus have been transformed thanks to our Irish volunteers and Belarusian craftsmen. We have sent over 100 trucks of aid to Belarus since the early 1990's. 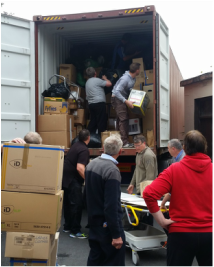 Packed to the brim with clothes, shoes, furniture, bed clothes, medical supplies, walking aids, wheelchairs, toys and much more, these truck loads have catered for orphanages, adult asylums, day centres, families, and communities all across Belarus. ​Click here to find out how to get involved. Burren Chernobyl Project has undertaken many project across Belarus since 1993. Many have been completed and some are ongoing. Here's a glimpse at some of the other projects from over the years. In recent years BCP started running Minsk holidays for the children in Gorodishche Orphanage. Groups of 8 children and young people travel to Minsk and stay in Dom Zara for the week. They get to do many exciting activites such as visits to the zoo, circus and even McDonalds! A magician comes to perform magic tricks and tricks with animals. They get a break away from the orphanage, enjoying simple things like peace and quiet. In many ways it's quite like a visit to Ireland but within their comfort zones of same language and faces - some staff travel too to take care of them.